First impressions set the foundation for a potential relationship with a client or customer. The majority of people—72% to be exact—judge a company based on the business card’s quality, according to the Statistic Brain Research Institute. The data also reports that 39% said that they would not do business with a person who gives out a “cheap looking” business card. “The card is as important as the first 3 seconds of a YouTube video. It must get and keep attention. What Business Cards Stand Out? 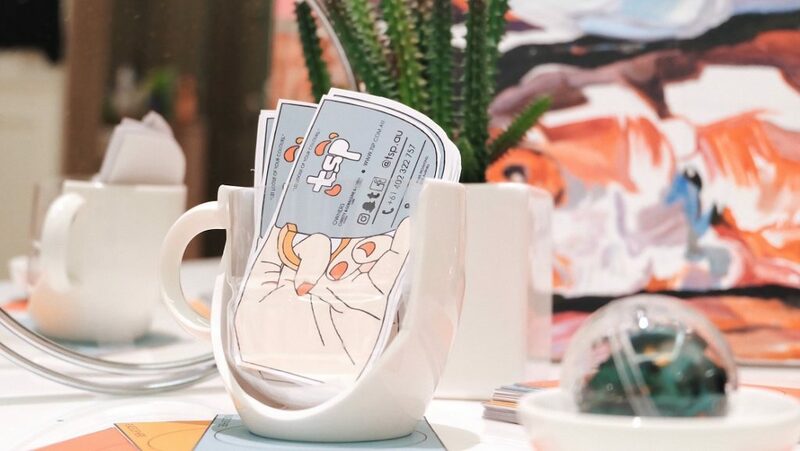 Some of Behance’s predicted design trends for 2019 offer creative yet functional ways to distinguish and draw attention to details on a business card. For instance, a large typeface brings attention to your name, company, and contact information. 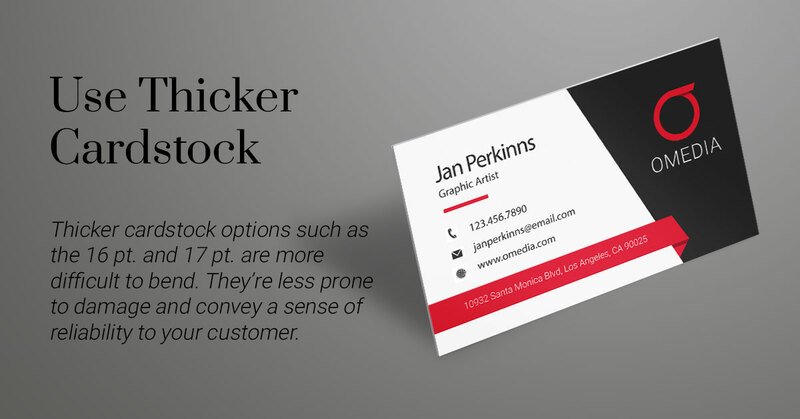 A bold font also complements the small size of a standard or square business card. Plus it communicates confidence and assurance to the viewer. 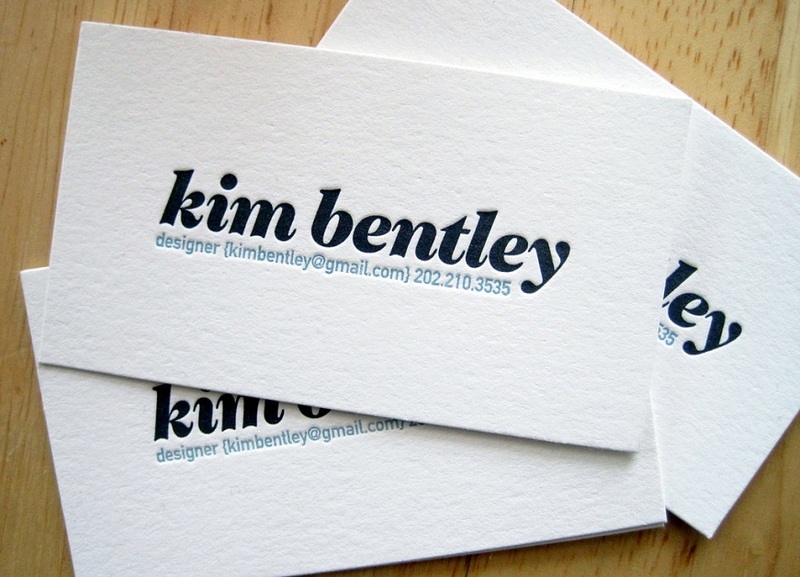 Kim Bentley’s name is written in big and bold typography. Bold colors also dominate this year’s biggest design trends. Use supersaturated tones on your palette, which will stand out against the common black and white or primary color combinations. Illustrations have become the go-to rendering for logos and other visual elements, as these give more freedom, flexibility, and color in how specific objects are rendered. 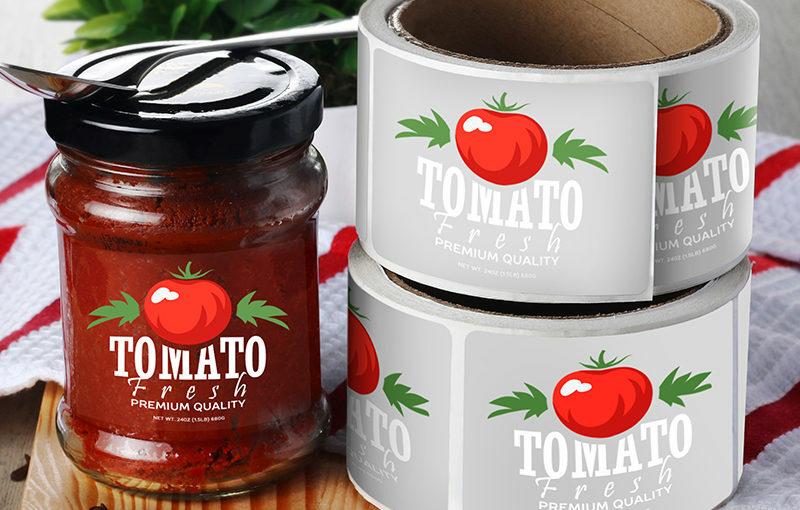 Add a colorful illustration that shows your product or service in an artistic manner. Photo by rawpixel on Unsplash. She emphasizes to do all these with the intention of empowering the information and not drowning your details with over-designing. 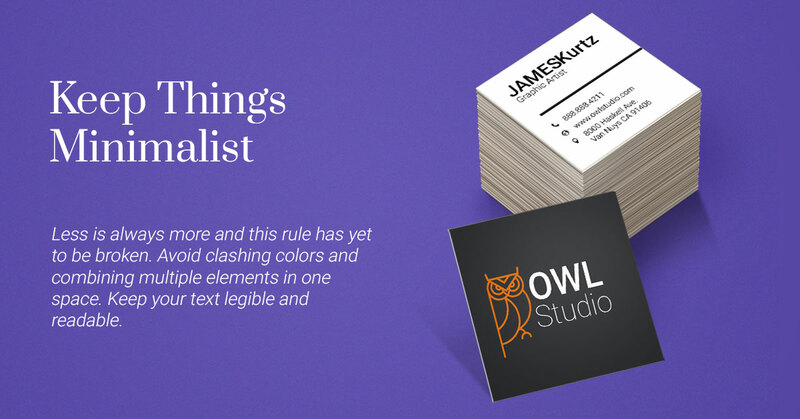 Now that you have some business card ideas for your next design, let’s focus on what to avoid. Everyone else owns a standard sized, rectangle card. A circle, oval, or die-cut business card will stand out on the first meet and while your potential client glances at their contacts. Choose a shape that aligns with your brand or reflects the nature of your business. Don’t compromise readability and your brand identity for the sake of creating unique shaped business cards. The shape should complement or directly relate to the product or service you are selling. Less is always more and this rule has yet to be broken. Minimalism has been around since the late 1960s and carried on in the early 1970s. We continue to see it today in the user interface of websites, the branding aesthetic of companies like Glossier, and other contemporary businesses. To practice minimalism, avoid clashing colors and multiple elements that fight for a person’s attention. Too much going on is never easy on the eyes, so stick to one or two colors. Black as a dominant color is a consistent classic and continues to be a part of today’s minimalist inspired trends. This minimalist design maximized white space and leads the eyes toward the important contact information. Place only the most important information on your business card. Stick to basic branding elements such as your logo, company name or tagline. Indicate the number, email, and social media account you use most often. Putting more than one number or social media handle could confuse your recipient and get in the way of straightforward communication. Go through your collection of acquired business cards. How many of them have dominant white backgrounds or combine a standard plain surface with a primary color? At one point, all these cards start looking the same despite the difference in font and color combinations. 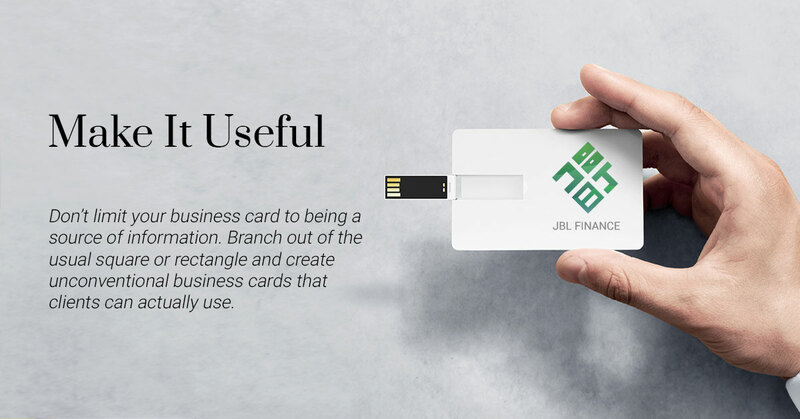 Consider deviating from the norm and go for a plastic business card. Compared to paper or cardstock, plastic can appear see-through or frosted. 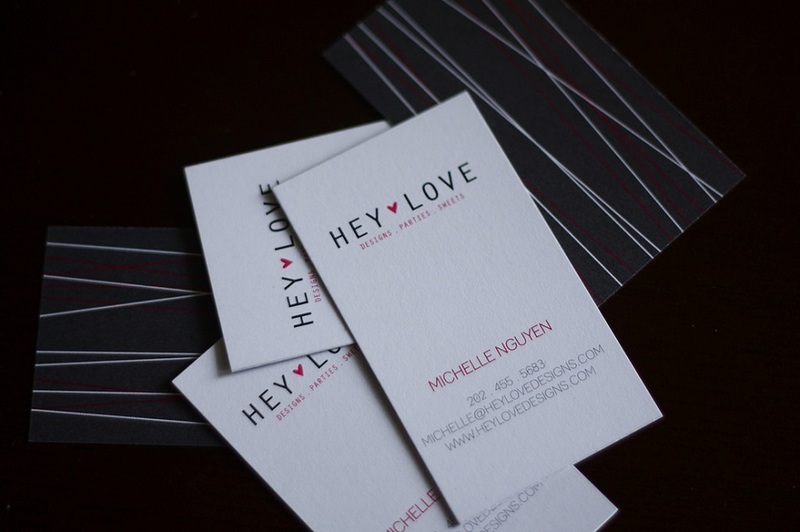 The material itself instantly stands out and offers a sleek, modern alternative to the typical business card examples. It’s also water and tear resistant—durability that can’t be recreated with flimsier materials. Want an extra splash of color? Painted edge business cards come in bold hues that anyone can see at a glance, especially when stacked within a thick pile. It comes in a thick 32 pt. cardstock that brings out the brightness of colors like orange or the chic appearance of metallic tones. Painted edge business cards are printed on thick 32 pt. cardstock. Companies that require a classic look to their business card normally opt for the standard 14 pt. cardstock. But this is also the go-to choice of most corporations aiming for a professional look. Thicker cardstock options such as the 16 pt. and 17 pt. are more difficult to bend, and thus less prone to damage. Apart from the added durability, both options feel significantly thicker on hand. The special touch builds that impression of reliability and feels more memorable compared to a thinner stock. It’s tempting to follow a template and simply place your logo or company name on the front then contact details at the back. But what if you varied this design formula a bit and found a way to maximize both sides? If you plan to use a smaller format like a square, remember that all elements on the front and the back sides need to make a significant impression. They need to work cohesively as a whole and stand on their own when viewed from either side. Add a photo or illustration that helps customers visualize your service on the front. Use icons or playful fonts to showcase your contact details. 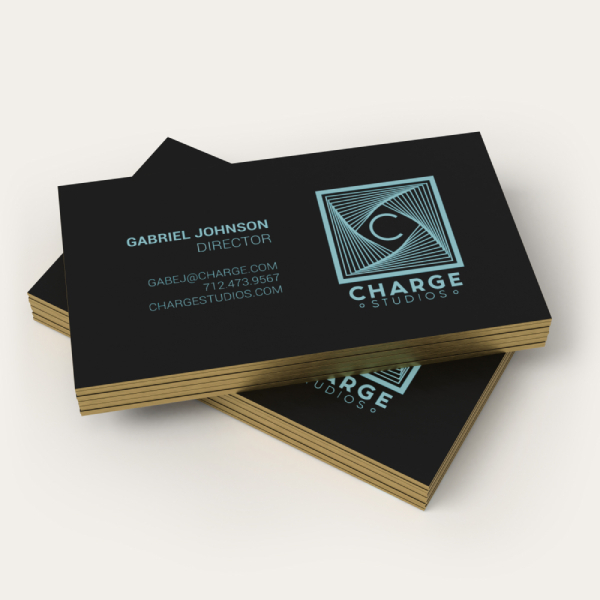 A minimalist approach with complementary colors on each side also works on unique square business cards. Your imagination is the only limit to how far you can take the business card’s overall design. 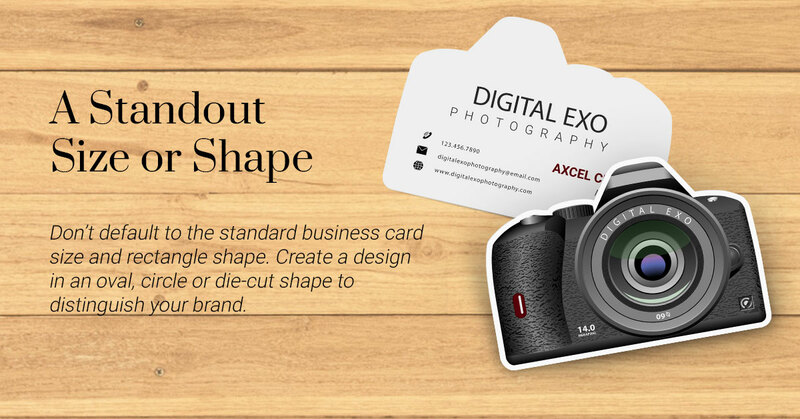 Branch out of the usual square or rectangle and create unconventional business cards that clients can use. Tech companies can include a USB, while architects may incorporate a caliper, a device they use frequently for measurement. Make sure the form relates directly to your product or service for clients to make the association while using your card. 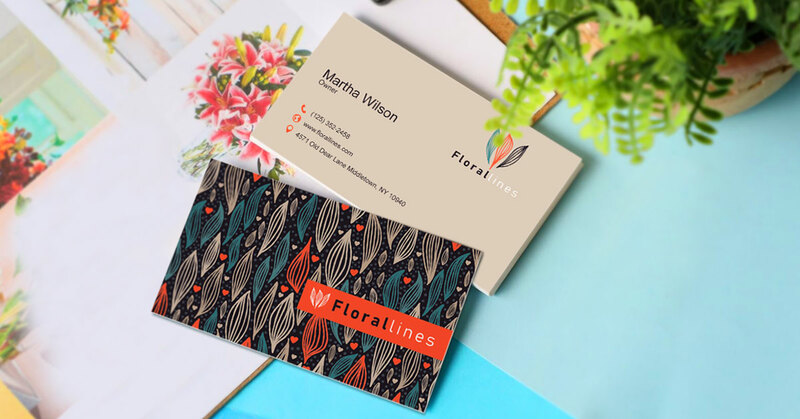 For specifics, you can check out our step-by-step guide on how to create unique business cards. All our product pages include downloadable layout templates that show where to place all the necessary design elements. If you need more design inspiration, here are 25 stunning designs to help inspire your creativity. 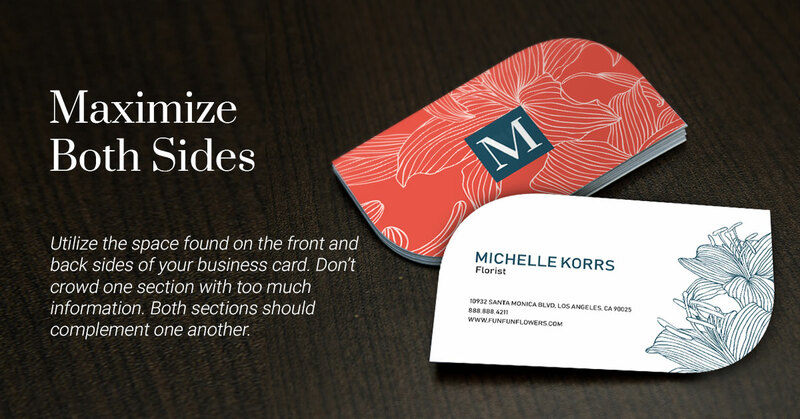 With enough time, planning, deliberation, and revisions, you’ll come up with the best unique business cards. How Do You Make a Creative Business Card? Want to transform your brewing unique idea into reality? Check out some of our premium options that include foil business cards and metallic printing. 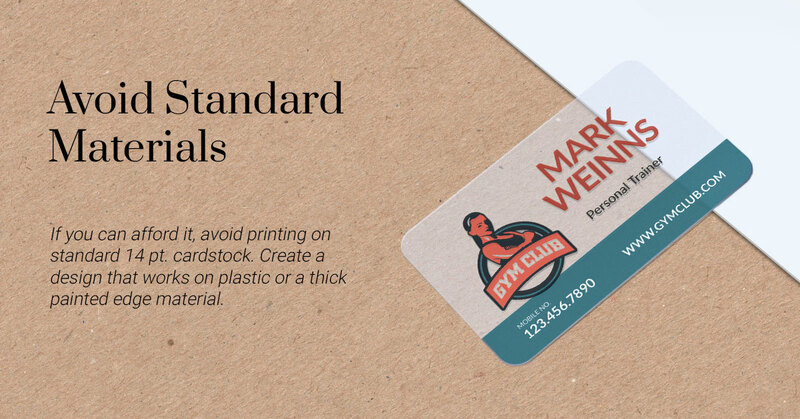 For alternative materials, we offer plastic, painted edge, and magnetic business cards. Have any suggestions on how to create unique business cards? Comment below and let us know.